Now, more than ever in their history, humans are wielding tremendous power, but the reins of responsibility for this power are yet to be grasped firmly. Radiation serves to reminds us how interdependent we all are as a global community, as is the case when disasters arise and efforts to contain them often fail to localise and safely contain their detrimental effects – to site the example of Fukushima. In 1968 Dr Robert Baker was the first scientist to offer an evidence based warning as to the serious consequences to public health that could arise from our uncontrolled use of electromagnetic radiation in our living space, which acts as a conduit. Electro-pollution induces currents in the body comparable in strength to those that mediated the bodies natural growth and regulatory systems. Society’s tremendous expansion in use of electromagnetic radiation has occurred in the absence of serious inquiry into its impact upon the health of the population. When electromagnetic radiation interacts with biological matter, it acts as a powerful toxin, damaging DNA, the building blocks of our cells. Doctors, scientists, medical and biological experts have been seeking more sufficient regulation on wireless technology since the late 90’s and more recently of note, the Freiburger Appeal ’02 and Bamberger Appeal ’04. Independent research into electromagnetic fields (EMF), Radiofrequency EMF (RF – EMF) and Extremely-Low Frequency (ELF – EMF) fields is ongoing. Communication byways now exist, that have never existed on planet Earth before, whether individuals are aware of it or not, our evolutionary adaptive capacity is placed under great strain by these additional stressors. Microwave radiation’s effects on living tissues is cumulative, which means high intensity exposure over a short period can be similar to a low level exposure over a longer duration. We now live with an extensive encompassing global network of microwave towers and masts that cater in part for our desire for rapid instantaneous wireless communications. The UK has radiation levels some 10,000 times greater than levels permissible in Denmark and Switzerland for example. The UK also has to contend with insidiously lethal radiation emitted from its national network of Tetra masts emitting relentlessly day and night. The problem with Tetra technology is that microwaves are combined with a low frequency carrier wave – it interferes with human waking state brainwave patterns and has most detrimental impact on our sleep brainwave rhythms, acting in a stimulating electromagnetic way similar to a high level caffeine dose present in coffee. Radiation is an exceedingly difficult issue for the general public to face as it’s invisible and yet affects body functions significantly. It appears not everyone is immediately susceptible to it, yet those that are can suffer greatly from a whole host of debilitating conditions, most notably with the obvious lack of sleep, to name just a single one of the many possible symptoms that often remain unattributed to the original cause. It’s essential to have a revitalising sleep. This is why an assessment of one’s sleeping area can accurately and without ambiguity identify sources of radiation. Broadly speaking, the radiation sources to concern ourselves with are: electromagnetic and natural radiations – these especially can disturb sleep. 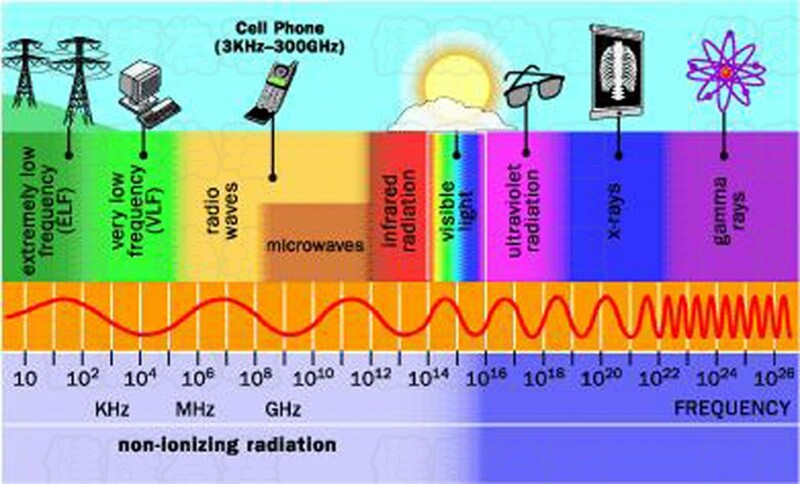 Electromagnetic radiation includes: internal building wiring (identification of ‘trouble maker’ walls), mobile phone towers, transmitters, smart meters, appliances that rely on electricity, wireless technology (e.g. Wi-Fi), TV and radio signals invading space. Natural radiations include: tectonic disturbances, fault lines, grid lines and water veins under living space. The relentless assault of electronic pollution can be minimised via personal and home/premises protection measures available from The Natural Medicine Practice – having spent many years contending with this increasing burden, advice is available as what is likely to work best in each individual situation. Unfortunately for many individuals relatively new to this area, they are often unsure what is the best way to tackle these invisible threats to themselves and their families, and most significantly unclear about what works and does not work and the scientific modus operandi. Person and location specific solutions work best and this requires assessment on a case by case basis. EHS (Electromagnetic Hypersensitivity) is a diagnosis currently allotted to around 4% of people in the UK suffering the experience of unpleasant symptoms due to EMF generated by mobile phones, Wi-Fi routers, TVs etc. Severe EHS cases present with complete inability to cope with the rapidly encroaching advance of hi-tech life and a strong preference for EMF-free zone areas. Factors to consider are that most people are familiar with the placebo effect – when inactive pills are prescribed many may expect to get better and afterwards go on to feel improvement. With nocebo effect, its flipside, we can observe the tendency for people to feel unwell when they consider themselves to have been exposed to something hazardous.